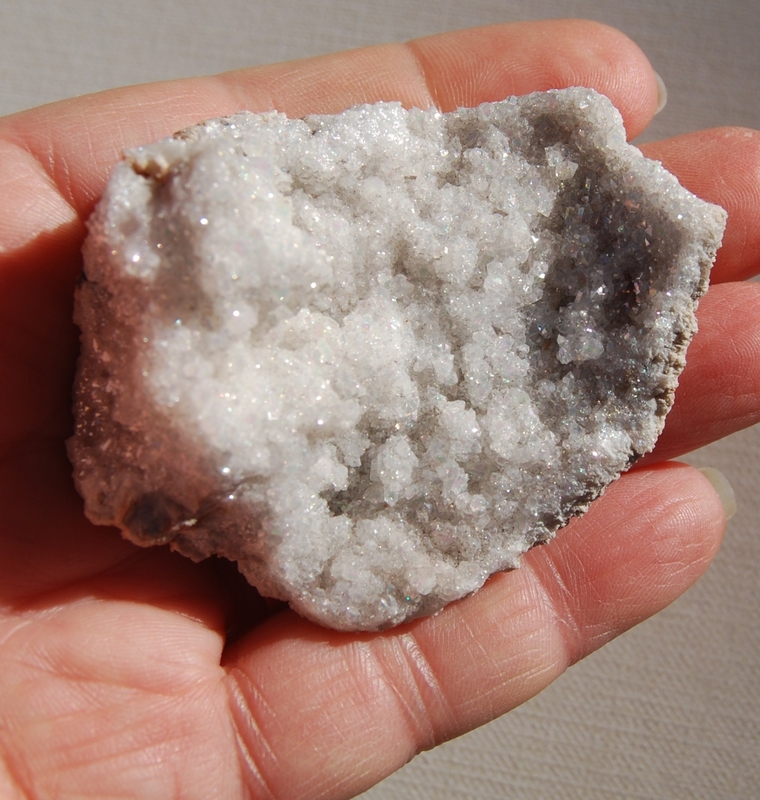 Snow white with a hint of rainbow, this is an amazing crystal druzy. 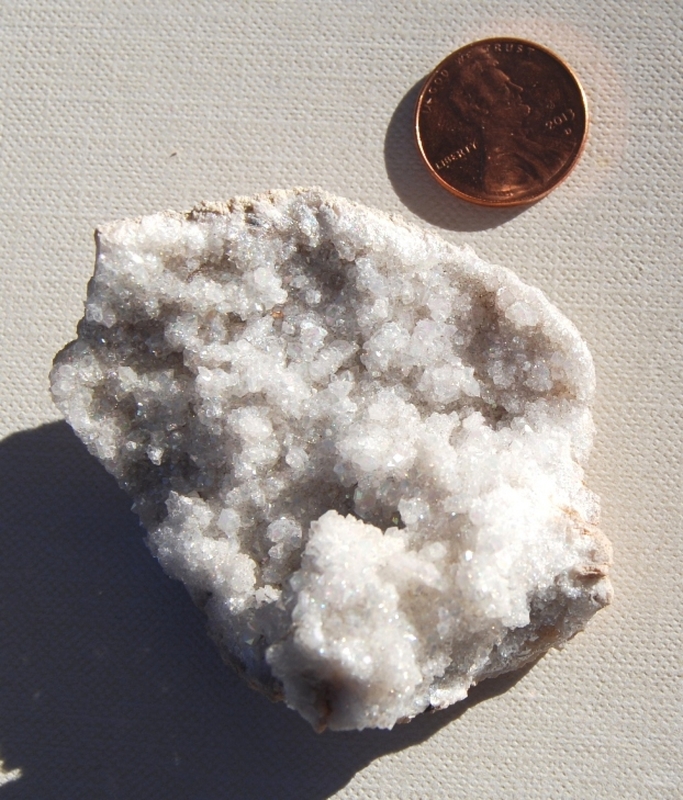 The structure formed inside a geode with thousands of tiny natural facets. The light rainbow color is a permanent angel aura coating of fumed platinum! A beautiful, sparkling specimen, full of energy!